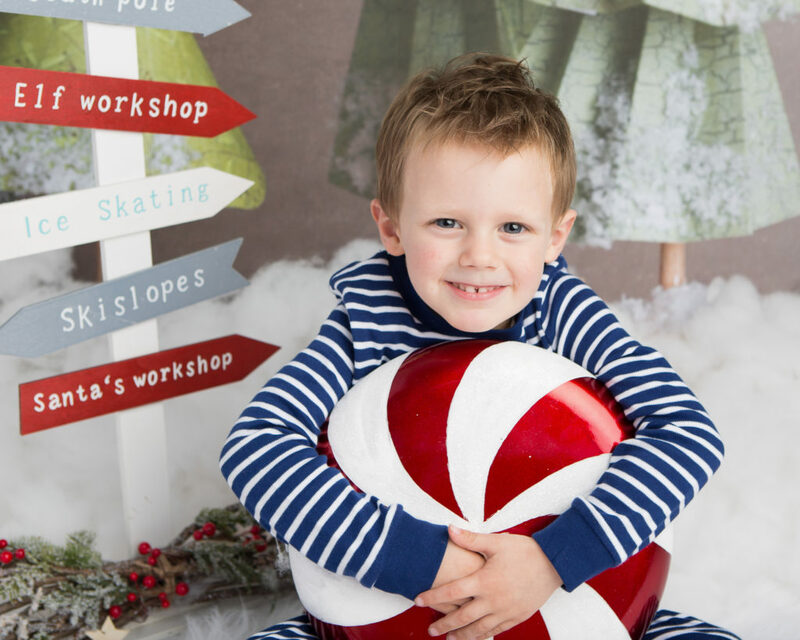 Christmas is on the way and we got in to the spirit of it with Kelly Shaw Photography recently! 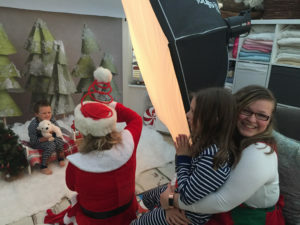 I was invited along to a Christmas Mini Session with my family at Kelly’s Doncaster studio – if you’ve not seen Kelly’s work, it’s worth having a quick look at her website as she is amazing with newborns, babies, toddlers and children of all ages. Having seen her work we were very excited! Some people just do things well…from the minute you arrive until the minute you leave. Kelly is one of these people. From the moment we pulled up in the car, Kelly (Mrs Claus) and her helpful Elf were waving from the door! The kids, having been a bit un-inspired about the whole thing on the journey, sat bolt upright in their seats, fumbling to get their seat belts off super quickly in order to get out of the car and see what this was all about! 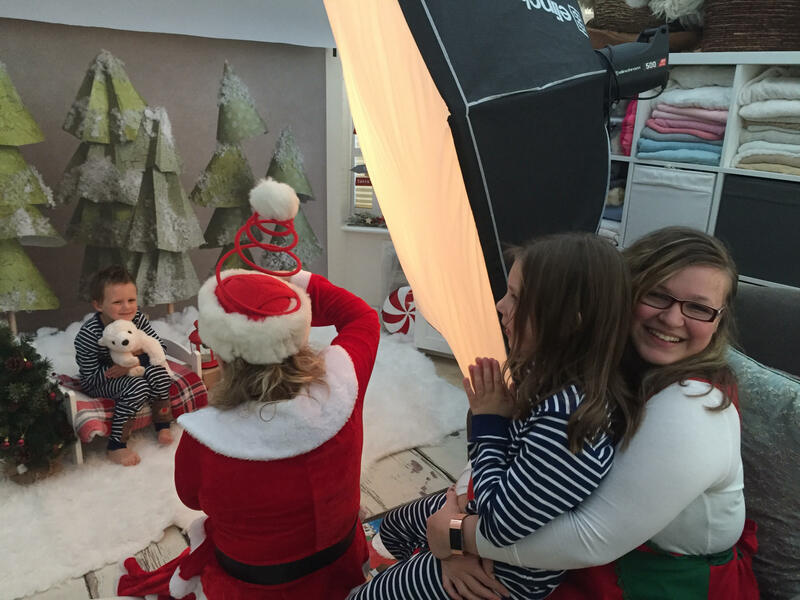 They weren’t disappointed – Christmas music, fake snow, sleighs, Christmas cookies, cuddly toys, Kelly had thought of it all – this lady is organised (i’ve since noted from her website that she used to be a child-minder, so rest-assured she knows how to handle children of any age). We had gone prepared with Christmas party clothes (including a very snazzy Rudolph shirt from Tesco, which we intend to be wearing a lot this year!) and Christmas pyjama’s. 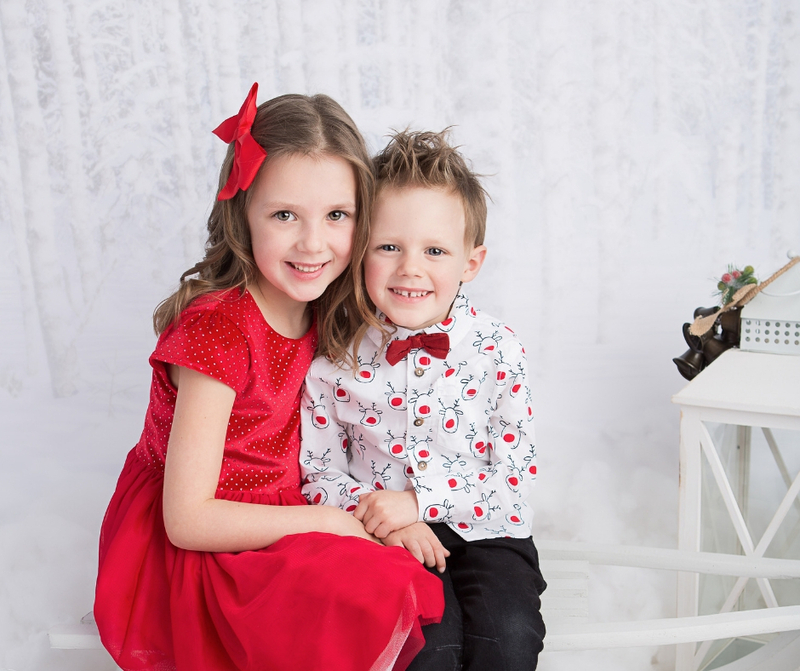 My two mini mumblers were immediately comfortable with Kelly, who got them seated and ready to strike a pose! We had lovely big smiles, cuddles, laughing on cue, it was great. 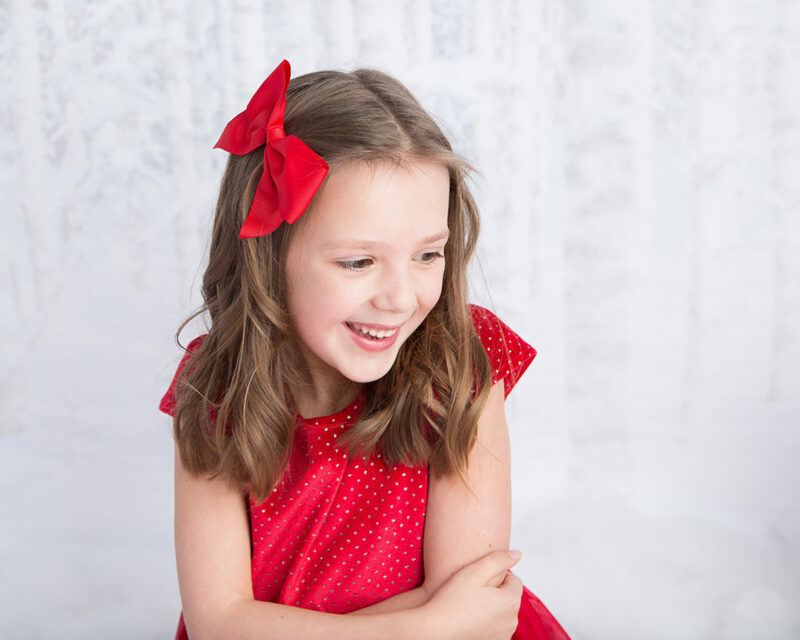 When I get my phone out and say ‘smile’ or ‘cheese’, I often get a half smile or none at all…they hate having their photo taken with a phone…bring in a professional however, with a big camera (and a bouncy snowball on their head) and you’ll get big smiles all round. You can see that we got some beautiful photographs. We were all made to feel so welcome. My daughter became great friends with the Elf (who on her days off is Kelly’s daughter). The added extra’s such as gingerbread cookie part way through kept the children smiling – they know what keeps children happy! The mini mumblers even got a little gift wrapped chocolate gift at the end, which was very well received. 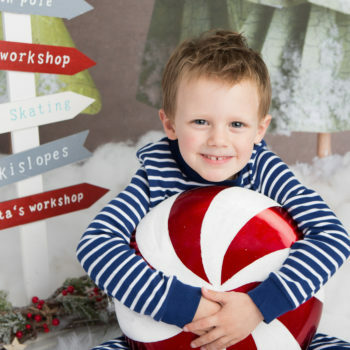 Included with the mini session, which lasted about 30 minutes, were 5 digital images (2 of which are also printed), plus a Christmas card design. 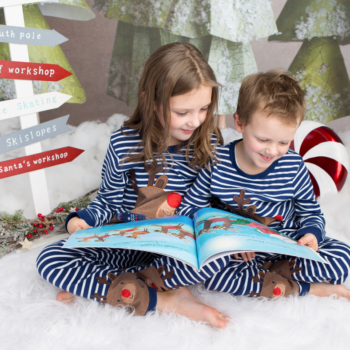 We absolutely love our photos – I’m looking forward to having them around the house this Christmas – they’re magical. 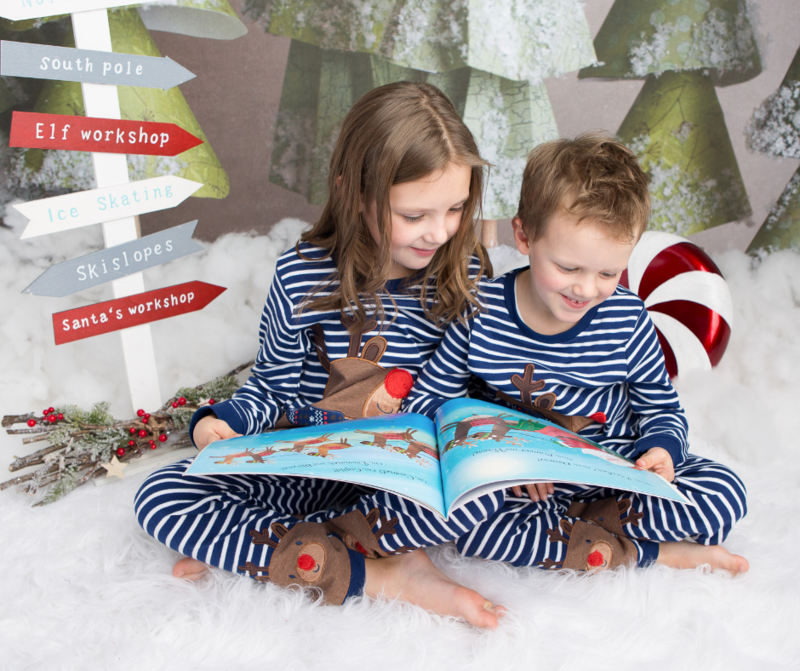 Kelly has finished her Christmas mini sessions for this year, however she is available for booking newborn photography sessions or family photography sessions. Kelly Shaw is a professional newborn, baby, children and family fine art photographer. 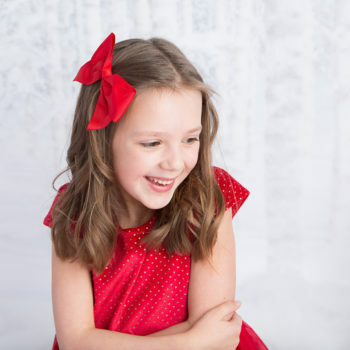 Based in Lindholme, Doncaster, she provides professional photography throughout Doncaster and South Yorkshire.